These pages describe ByRoute 4 between Brittas on the southwestern outskirts of DUBLIN and Mullinahone in Co. Tipperary. Manor Kilbride is a tiny village with an atmospheric old graveyard. Mooney’s pub is a highly rated hostelry with a charming courtyard. Hunting Brook Gardens, an unpretentious experimental horticultural centre, has spectacular exotic grasses and pretty woodland flower walks. Kippure House, a hunting lodge built by the Moore family c.1830, was destroyed by sectarian arsonists during the Civil War. The beautiful Estate features a Coronation Plantation celebrating the accession of King William IV, and there are also several megaliths. The property was restored by Bríd and Tadhg Ó Cadhain, who since 2003 have run the new lodge as a guesthouse with indoor and outdoor dining facilities, and also have modern self-catering cottages. The Anam Holistic Healing Centre is run by Joe Mullaly, who specialised in Celtic Shamanism and also does dowsing and Angel Therapy Readings (€85 per telephone session, al major credit cards accepted). Manor Kilbride is linked by an exceptionally scenic road to the Sally Gap on ByRoute 3. Poulaphouca Reservoir, aka Blessington Lake(s), a dammed section of the River Liffey also fed by the Kings River, was created on 5,000 acres / 20 km2 of farmland in 1944. Nowadays the reservoir is of international significance for its colony of Greylag geese, and serves as a popular venue for recreational water pursuits. Blessington (Baile Coimin), (pop. 4000) (Dublin Bus 65), long known as a quaint village with a tree-lined main street and some elegant architectural features, has been marred in recent years by poorly planned sprawling housing estates for a new population of DUBLIN commuters. It is at the western end of a long bridge over the narrowest part of the Poulaphouca Reservoir, aka Blessington Lake. In 1667 Michael Boyle, Lord Chancellor of Ireland, Archbishop of Dublin and later of Armagh, bought the manor of Threecastles from the Cheevers family, and in the area then known as Munfine he constructed a magnificent residence, completed in 1673. The estate passed through a convoluted line of descent involving heirless Viscounts of Blessington and Mountjoy to the Archbishop’s great great grandson Wills Hill, 1st Marquess of Downshire, and remained in his family for 130 years until 1908. 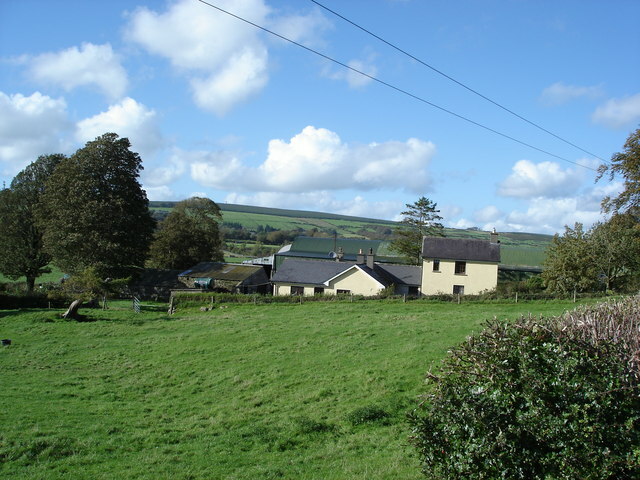 The Downshires owned vast tracts of property in both Ireland and Britain; it was said that a traveller from Larne to Blessington would always be within sight of their land. Blessington House, described by contemporaries as one of the finest mansions in Ireland, was burned down in the 1798 Rebellion. The Demesne is now undergoing restoration and redevelopment as Blessington’s new town centre. St. Mary’s Church (CoI), founded by Archbishop Boyle in 1683, features the oldest working turret clock in Ireland. The building was extended in the C19th. A nearby street monument commemorates the 1865 coming of age of Arthur Hill, who lasted only five years as 5th Marquess of Downshire before dying at the age of 29. The Market & Courthouse built by the 3rd Marquess of Downshire in 1830 now houses the local Credit Union. The Ulster Bank building was constructed around the same time as an Inn. The Dublin and Blessington Steam Tramway operated from Terenure via Tallaght from 1888 to 1932. The Downshire Arms / Downshire House hotel in the former Agent’s house (1820) used to be a good old-fashioned hotel for Sunday lunches, afternoon tea etc. The Avon Ri Lakeshore Resort is a renovated sports complex with luxury self-catering townhouses. West Wicklow House serves good pub grub, and Mullaly’s is a fun place for a couple of pints. Russborough House is a magnificent Palladian mansion, designed in 1741 by Richard Cassels for brewer’s son Joseph Leeson, later the 1st Earl of Milltown, whose descendants owned it until 1929. Russboroughis the longest house in Ireland, with a frontage measuring 210m/700ft, and considered by some to be the most beautiful. The austere external aspect contrasts with a lavish interior, featuring ornate ceiling plasterwork by the Lafranchini brothers. The impressive Hall, well-stocked Library, pleasant Drawing Room, and pretty Music Room are wonderfully decorated, and the big Saloon is used for concerts throughout the year. The mansion was acquired in 1952 by the art collector Sir Alfred Beit and his wife, Lady Clementine Beit. For many years the house contained their complete collection of superb Old Masters, including paintings by Carravagio, Titian, Velasquez, Rubens, Murillo, Vermeer, Goya, Bellotto and Gainsborough. In 1972 IRA thieves led by Rose Dugdale broke into the house, pistol-whipped 72-year-old Sir Alfred and tied him and Lady Beit to chairs, and made off with 19 works of art, found in a nearby cottage 11 days later. Paintings worth thirty million Dollars, stolen in another sensational robbery in 1986 (led by Martin Cahill, aka “the General”) were almost all recovered, albeit more slowly and from as far afield as Belgium and Turkey. The 12 most valuable items in the collection were transferred to the National Gallery in Dublin. Russborough was robbed yet again in 2001 and 2002, but the stolen paintings were also regained within months. Russborough still houses many impressive canvases, and fine examples of silver, furniture and porcelain are also on display. The mansion has formal gardens featuring an entertaining maze. The Lady Blessington of literary fame was Marguerite Power (1789 – 1849), born near Clonmel. Forced to marry young, she fled her violent husband and took up with Charles John Gardener, 2nd Viscount Mountjoy, who became Earl of Blessington in 1816; her first husband’s death in 1818 enabled them to marry, and they enjoyed an extravagant lifestyle, mainly on the Continent due to a liaison with Count d’Orsay, which gave rise to much scandal in London. Lord Blessington’s death in 1829 left the Countess in financial difficulties, which she began to solve with the publication of her Conversations with Byron in 1834. In her new career as a journalist and travel writer she contributed to many publications, and also penned the novels Grace Cassidy and The Two Friends. Blessington is close to Ballymore Eustace (Co. Kildare) on ByRoute 5. Lacken is a picturesque unspoilt village beside / overlooking Poulaphouca reservoir. Ballyknockan has long been inhabited by granite quarrymen and stonecutters, whose skilfully carved artefacts can be encountered throughout the village and scattered along walks overlooking the Poulaphouca reservoir. Valleymount is a pretty village on a finger of land extending into Poulaphouca reservoir. The parish extends uphill to include Granabeg, where there are lovely views of the King’s River Valley, and takes in the Marquess of Waterford’s Glenbridge Lodge. The Wicklow Gap road commands great views of Mullaghcleevaun, Tonelagee, Camaderry, Lough Ouler and Lough Nahanagan in Glendasan. The Wicklow Gap road leads eastwards to Glendalough and Laragh on ByRoute 3. 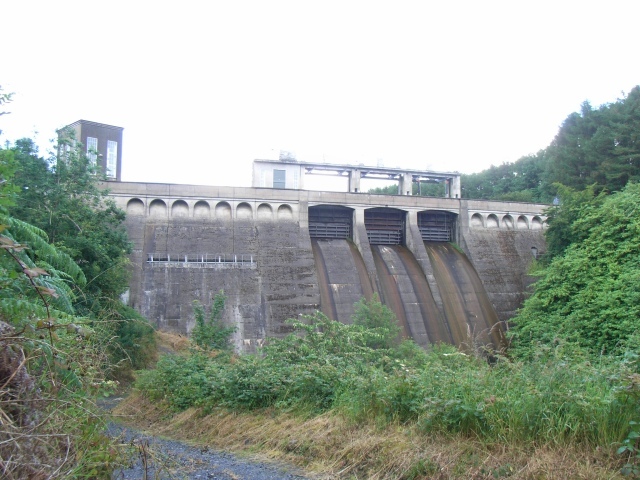 Poulaphouca (Poll an Phüca – “the hole of the Pooka”, a demonic sprite) is the site of the once spectacular triple cascade on the River Liffey for which the Reservoir is named. Poulaphouca House Hotel (1893) is a family-run establishment set in 32 acres of lovely landscaped grounds. Hollywood (Cillín Chaoimhín – “Kevin’s little church”) is a pleasant village at the western end of the Wicklow Gap Road, overlooked by the westernmost summit of the Wicklow Mountain range, Church Mountain / Slievegad / Slieve Gadoe (Sliabh an Chodaigh – “mountain of the covenant”)(544 m /1785 ft). St. Kevin’s church (CoI) is a C17th structure with a beautiful vaulted roof. Tutty‘s pub is a well-known venue for traditional folk music. The Hollywood Stone, a large boulder turned over in 1908 by men chasing an Irish stoat, and kept since 1925 in the National Museum, bears the earliest known Irish example of a labarinth symbol. Hollywood has been used as a setting for several films, notably Neil Jordan‘s Michael Collins (1996, starring Liam Neeson, Alan Rickman and Julia Roberts) and Pat O’Connor‘s adaptation of Brian Friel‘s play Dancing at Lughnasa (1998, starring Meryl Streep). Hollywood is connected by a rural road to Dunlavin on ByRoute 5.